Like eating Tide Pods and snorting condoms, the Momo challenge is a viral hoax. Maximoff’s plea has been retweeted more than 22,000 times, and the screenshot, featuring the creepy face of “Momo,” has spread like wildfire across the internet. Local news hopped on the story Wednesday, amplifying it to millions of terrified parents. Kim Kardashian even posted a warning about the so-called Momo challenge to her 129 million Instagram followers. To any concerned parents reading this: Do not worry. The “Momo challenge” is a recurring viral hoax that has been perpetuated by local news stations and scared parents around the world. 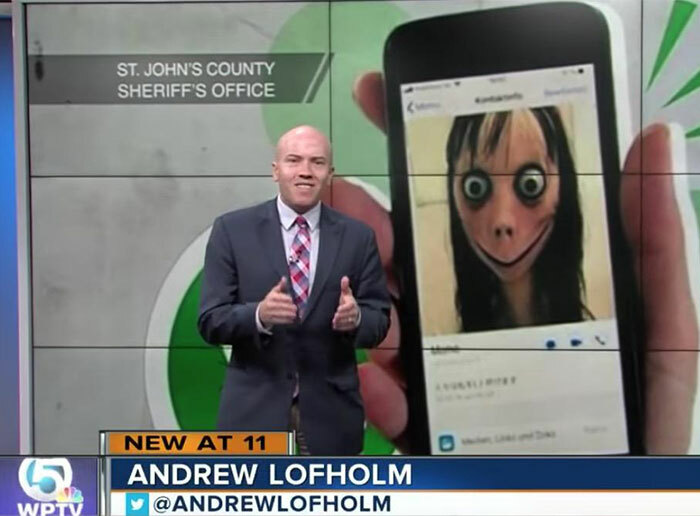 This entire cycle of shock, terror, and outrage about Momo even took place before, less than a year ago: Last summer, local news outlets across the country reported that the Momo challenge was spreading among teens via WhatsApp. Previously, rumors about the challenge spread throughout Latin America and Spanish-speaking countries. New research, conducted by the University of Liverpool and University College London, has found that young people today are more likely to be depressed and to self-harm than they were 10 years ago, but antisocial behaviour and substance use – often thought to go hand-in-hand with mental ill-health – are in decline. Instead, the study, published in the International Journal of Epidemiology, found poor sleep, obesity and poor body image are becoming more common, suggesting the risk factors associated with mental ill-health might be changing. A central Indiana community is stunned, saddened and looking for answers after a 12-year-old boy died by suicide last week. The boy’s death last week has raised concerns within the community about bullying and what the district is doing to address it. Teens were hospitalized for suicide. Researchers then asked them to think about the adults who cared about them. Teen suicides have been growing more common, and no one really knows why — or how to stop it. Here are some sobering statistics. Between 2009 and 2017, the number of high schoolers who contemplated suicide reportedly increased by 25 percent. Deaths by suicide among teens increased by 33 percent in that time period as well. Suicide is now the second leading cause of death among teens after accidents (traffic, poisoning, drownings, etc). But don’t be mistaken: Teen suicide is still rare. Just 10 out of 100,000 teens ages 15 through 19 die this way. But even a single death is one too many. Researchers have been working for decades on interventions to decrease the rate of suicides among teens (as well as among adults). It’s hard. For one, many people who died by suicide never got mental health treatment at all. And the ones that did, well, there’s very limited evidence on what works. In fact, according to the authors of a new paper in JAMA Psychiatry I read recently, “To our knowledge, no other intervention for suicidal adolescents has been associated with reduced mortality.” That line stopped me cold. There’s nothing that’s been scientifically proven to save lives when it comes to suicidal teens, except what they discovered in this paper? Suicide is the second leading cause of death in the U.S. among those aged 15 to 34 years and yet, despite years of mental health research, our ability to predict suicidal behavior is only slightly better than chance. Research from the University of Pittsburgh School of Medicine provides a new approach to tackling the problem, showing that fluctuation and severity of depressive symptoms are much better at predicting risk of suicidal behavior in at-risk young adults than using psychiatric diagnoses alone. Published today in JAMA Psychiatry, the findings, which include the description of a new Prediction Risk Score, may help clinicians better identify patients at risk for suicidal behavior and intervene earlier. “Predicting suicidal behavior is one of the most challenging tasks in psychiatry, but for an outcome that is so life-threatening, it is definitely not acceptable that we’re only doing slightly better than chance,” said senior author Nadine Melhem, Ph.D., associate professor of psychiatry at Pitt’s School of Medicine and a researcher at UPMC Western Psychiatric Hospital. Last week, British tabloids ran a number of articles warning parents about the “Momo challenge,” an ostensible online scheme intended to induce self-harm in children. This week, American publications are following suit, with CBS News credulously reporting on a Sacramento parent who claims her daughter nearly blew up their apartment after watching online videos containing threatening messages from Momo. Kim Kardashian, one of the most influential parents in the world, added fuel to the fire on Tuesday by posting Instagram stories warning her followers about the nefarious Momo. There’s only one problem: There’s no evidence that harmful Momo videos and messages targeting children actually exist. We’ve listed stories about the Momo Challenge previously [“Momo Suicide Game: Teens Targeted on WhatsApp, Facebook, YouTube,” Newsweek, August 3, 2018]. Like the Blue Whale Challenge before it, the Momo Challenge is supposed to be a series on of online instructions or ‘challenges’ that ends in the person’s death by suicide. While there have been alarmist warnings a-plenty, facts on the ground are harder to come by. It’s been difficult to verify if this threat is real and, if it is, that it’s as widespread as claimed. Especially when there are just a few reports of suicides with little supporting detail. Back in the 1980s there was a nationwide ‘panic’ over Halloween candy. Hospitals actually X-rayed kids’ treat as a safety precaution to find razor blades in candy bars, irradiated candy was the only result. No razor blades, pins or needles. So is the Momo Challenge a hoax or not? How concerned should a parent be? Let’s let David Mikkelson of Snopes.com weigh in. Social media users—and particularly parents of young social media users—have also been beset by reports of highly dangerous challenges, such as those encouraging children to disappear for 72 hours or even commit suicide. But many purported “challenges” of this variety have proved to be much more the products of fevered imaginations and lurid news reporting rather than real-life phenomena. The latest round of unsettling internet challenges has taken a dangerous turn, with multiple “kid-friendly” videos teaching children how to commit suicide or encouraging them to commit high-risk acts. A trend called the “Momo Challenge” has been stirring up fervor in recent weeks, even though the character–a gaunt, terrifying doll that asks the viewer to participate in challenges that range from innocuous to deadly–has been appearing around the internet for at least a year, according to international police agencies and news outlets. Momo, with its bulging eyes and stringy hair, reportedly appears on sites or apps like WhatsApp, Facebook and YouTube, sometimes in conjunction with kids’ videos meant to depict the popular game “Fortnite” or kids show character Peppa Pig. 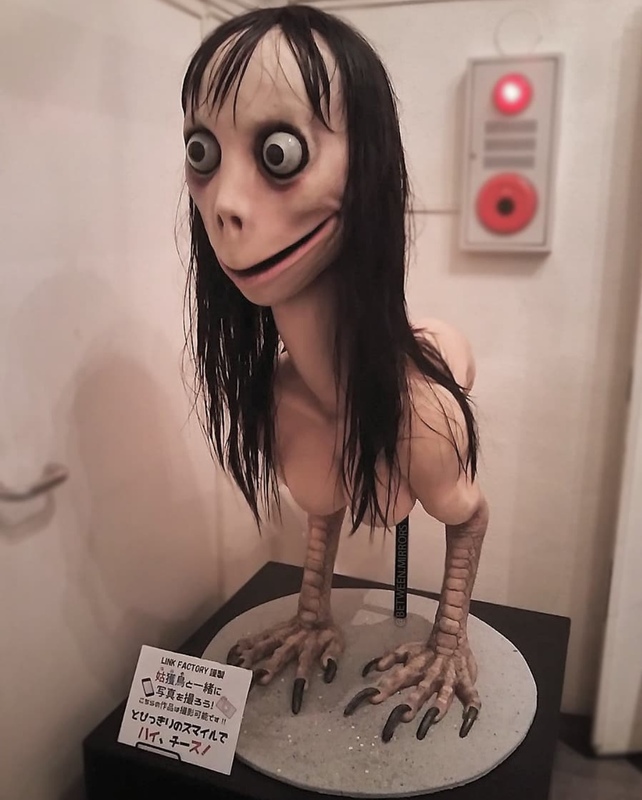 The actual visage of Momo depicts a sculpture called “Mother Bird,” made by a Japanese special effects company called Link Factory, which is not associated with the challenge itself. Some have decried Momo as a hoax, while others insist their children have been in contact with those behind the mysterious character. The shifting, bottomless nature of internet content, plus the tendency of YouTubers and others to quickly capitalize on scary memes, makes it difficult to pin down the origin or measure the widespread impact of the trend. The challenge has been linked to several suicides worldwide, including two children who killed themselves just days apart from one another in September in Barbosa, Colombia, according to reports from the Daily Mail of England. The boy, 16, reportedly got the younger girl, 12, involved with the game before they both died. Police found messages associated with the game on the children’s phones, reports say. A mom is warning parents to better monitor their kids’ online activity after finding a disturbing video that appears to give children instructions to harm themselves. Dr. Free Hess, a pediatrician and mother in Gainesville posted the video on her blog PediMom.com after seeing it on YouTube. Hess said the video has appeared twice on YouTube and YouTube Kids since July. “Looking at the comments, it had been up for a while, and people had even reported it eight months prior,” Hess told CBS News. The instructions are in a 9-second clip that’s spliced between clips of the popular Nintendo game Splatoon. “Remember, kids, sideways for attention, longways for results. End it,” a man says as he pretends to cut his forearm. The man is identified as YouTuber Filthy Frank, who calls himself “the embodiment of everything a person should not be.” He has over 6.2 million subscribers. CBS News reports that there is no evidence that suggests Frank was involved in creating the doctored video. Hess notified YouTube of the video. The company said it violates their community guidelines and took it down. Higher suicide rates among LGBTQ youth have been documented before, but a recent analysis offers fresh insight into what factors contribute to these fatalities. Youth 12 to 14 years old who identify as lesbian, gay, bisexual and transgender are much more likely to die by suicide than their heterosexual peers, a disparity that persists but becomes less pronounced by early adulthood, a U.S. study suggests. While 24 percent of the suicide deaths in the 12 to 14 age group were among LGBTQ youth in 2013-2015, this dropped to 8 percent of suicides among young adults 25 to 29 years old, researchers report in the Journal of Adolescent Health. Higher suicide rates among LGBTQ youth have been documented before, but the current analysis of suicide deaths over two years among Americans 12 to 29 years old offers fresh insight into what factors are most likely to contribute to these fatalities, said study author Geoffrey Ream of Adelphi University in Garden City, New York. A new survey from the Pew Research Center found that seven-in-10 teens identified anxiety and depression as a major problem they face, The New York Times reported. While being a teenager has long been synonymous with angst, it’s important to distinguish typical teen behavior from anxiety and depression, which are diagnosable mental health conditions. Though issues like bullying, substance use disorder, alcohol consumption, and gang violence were also cited as problems, mental health was found to be the top concern among the 920 teens surveyed. Only 4 percent of teens didn’t identify mental health as a concern at all, while 26 percent said anxiety and depression were minor problems. Adolescent suicide and suicidal behavior have shown dramatic increases in the past decade, making suicide the second leading cause of death in this age group. The standard practice is to hospitalize adolescents at highest imminent risk for a suicide attempt, but the risk for suicidal behavior is highest within the first three weeks after discharge. Currently there are no interventions designed to decrease the risk of suicide attempt during the transition from inpatient to outpatient care. David Brent, MD, Endowed Chair in Suicide Studies and Professor of Psychiatry, Pediatrics, Epidemiology, and Clinical and Translational Science, collaborated with Department of Psychiatry investigators Tina Goldstein, PhD, Antoine Douaihy, MD, Candice Biernesser, MPH, LCSW, and colleagues Jamie Zelazny, PhD, MPH in Pitt’s School of Nursing and Betsy Kennard, PsyD at the University of Texas Southwestern Medical Center to test a new inpatient intervention called As Safe as Possible (ASAP) for suicidal adolescents. ASAP is a three-hour intervention delivered on the inpatient unit which focuses on emotion regulation and safety planning. The intervention is supported by a newly developed smartphone app called BRITE and aims to reduce suicide attempts following hospital discharge. Their findings appear in the American Journal of Psychiatry. Colorado lawmakers are considering a bill that would allow children as young as 12 years old to see a psychologist without parental consent. House Bill 1120 is being called the Youth Mental Health Education And Suicide Prevention Act. It considers a number of approaches to preventing youth suicide, including allowing a minor 12 years of age or older to seek and obtain psychotherapy services with or without the consent of the minor’s parent or guardian. HB-1120 would create and maintain a mental health education literacy resource bank that would be available to the public free of charge. That resource bank would allow psychotherapists to be connected to minors through their school. “There shouldn’t be a barrier” that limits a child’s access to get help. There were more than 30,000 deliberate self-poisonings in children aged five to 19 over a decade. The number of Australian children deliberately poisoning themselves with drugs like paracetamol and antidepressants has doubled in the past decade, which medical experts say may predict a future rise in youth suicide rates. The authors of the study, published in the medical journal BMJ Open on Thursday, said the findings suggest a generation struggling to cope. Researchers led by the University of Sydney and the NSW Poisons Information Centre analysed 70% of calls made to poison information centres between 2006 and 2016. They found 33,501 deliberate poisonings in youth aged between five and 19, and that more children were poisoning themselves from a younger age. The most commonly ingested substances were those found commonly in households such as paracetamol, ibuprofen, antidepressants and antipsychotics. Intentional poisonings increased 98% overall across one decade, largely driven by a significant increase in poisonings in young people born after 1997. Girls outnumbered boys three to one. Google searches of “how to commit suicide” increased 26 percent following the series release. The Netflix series 13 Reasons Why may lead to increased suicidal thoughts among young viewers, new research suggests. The study is the first to examine the impact of the controversial show, which has garnered much praise for its realistic depiction of the events leading up to (and including) the suicide of a teenage girl. The data indicates that Google searches for “how to commit suicide” increased 26 percent following the series release. That’s cause for concern, because there’s a well-established link between suicidal thoughts and suicide attempts. “Psychiatrists have expressed grave concerns, because the show ignores the World Health Organization’s validated media guidelines for preventing suicide,” coauthor on the study John W. Ayers of San Diego State University told Fatherly. WHO’s guidelines aim to discourage content that centers around suicide. Online meme-sharing communities have taken a morbid turn, but some mental-health experts believe this could benefit isolated young people. This is a joke—and apparently a very relatable one for its target demographic, the millions of Generation Y and Z digital natives for whom memes are a mother tongue. A casual scroll on 9gag, which receives 3.5 billion page views a month, will turn up dozens of memes daily about self-harm or wanting to die, and young people are sharing, retweeting, and re-blogging similar content across the social-media landscape. You’ll find storybook illustrations doctored to show children dreaming of grisly deaths, SpongeBob joyfully flailing to his doom during a bank stickup, and Obama about to throw himself off a bridge. At first blush, these jokes couldn’t be in poorer taste. The World Health Organization ranks suicide as the second leading cause of death for youth worldwide. In the United States, data from the Centers for Disease Control and Prevention showed staggering 70 and 77 percent increases in suicide rates of white and black teens, respectively, between 2006 and 2016. In response, public-health officials and tech giants alike have been cracking down on potentially dangerous messaging on self-harm. Last Friday, Instagram rolled out a new policy banning “graphic” depictions of self-harm or suicide. We’ve gotten too used to discussing suicide as a fleeting, temporary side effect of mental illness. We might better serve people in need if we could acknowledge the messier reality. In any event, it’s a clever saying, and also one not altogether wrong. I can see why it’s had such viral appeal. Oftentimes a myopic focus on the present, accompanied by a flash flood of negative emotions, gas-pedals that fleeting impulse. Yet if we can survive that terrible moment, we may feel shockingly more composed just a day later. This tends to be the prevailing narrative around suicide and suicidality—a message cloaked in a constant admonishment to “just reach out for help” if you are feeling this way, and someone will try to see you through to the other side. The problem with this, though, is the obvious reality that some problems really are permanent, thank you very much. We may, with the right therapy or psychopharmacological help, change our perspective of such problems so that they don’t cause us so much ongoing distress. But not all problems fade with time; some actually do get worse. It should not be irrational to acknowledge this existential fact, and yet it remains stubbornly difficult to talk about. Those are the words of Eugene pediatrician Pilar Bradshaw, talking about Lane County youth in last Sunday’s Register-Guard story. Expert after expert, report after report, and one family’s story after another has emphasized that suicide is a community issue and it takes a community to prevent suicide. Yet too few people have stepped forward. Bradshaw has. She organized and, through her healthcare businesses, financed a local summit on suicide prevention. She now is footing the bill for the Bethel School District to operate a behavioral health and suicide-prevention program in its middle and high schools. Bradshaw’s involvement is laudatory, but she should not be alone. Lane County and Oregon are in a crisis, one that is not new. “For too long, Oregon’s youth suicide rate has been nearly twice the national rate,” says the state’s five-year Youth Intervention and Prevention Plan. Yet Oregon is one of only three states that does not require schools to have their own suicide prevention plans. In 2017, Mental Health America ranked Oregon among the very worst states for its high prevalence of youth mental illness but limited access to treatment. Augmenting standard care with a text message-based intervention, known as Caring Contacts, did not decrease current suicidal ideation or suicide risk events at 12-month follow-up among active-duty military personnel in a randomized clinical trial. However, the intervention did reduce the odds of having any suicidal ideation and making a suicide attempt between baseline and follow-up, according to the results. In prior randomized clinical trials, Caring Contacts, which provides periodic messages expressing care and concern, has been shown to prevent suicide, Katherine Anne Comtois, PhD, MPH, from the department of psychiatry & behavioral sciences, University of Washington School of Medicine, and colleagues wrote in JAMA Psychiatry. “Pilot research on Caring Contacts via text message showed high feasibility and acceptability, but to our knowledge, this had not been rigorously evaluated in a clinical trial,” they wrote. The answer is always the same: one sister. But whispering in the background are the ghosts of the other two answers that come to mind (and the reasons why I can’t give them). Pot may be particularly dangerous for the teenaged brain, a new review suggests. What isn’t clear from the review is why. Does marijuana (cannabis) somehow affect the developing teen brain? Or might teens who were later diagnosed with depression or who later attempted suicide have been using the drug to self-medicate? Regardless, teens and preteens “should avoid using cannabis, as use is associated with a significant increased risk of developing depression or suicidality in young adulthood,” the Canadian researchers wrote. In the United States, pot use is growing exponentially, the study authors noted. Between 2001-2002 and 2012-2013, the number of people aged 18 to 29 who used marijuana in the past year jumped from almost 11 percent to more than 21 percent. As clinical evidence for digital health struggles to keep pace with rapid advances in machine learning, the health care field finds itself in a dilemma between evidence-based care and innovative research. Suicide prevention offers an illustrative example of this dilemma with rising suicide rates, especially in younger adults, underscoring the urgent need for new approaches. One less traditional effort that recently caught national attention is Facebook’s evolving suicide prevention efforts, where the company now calls emergency services when it believes a user may be at high risk. The company has offered some details on its algorithm that assesses risk through users’ interactions on its social media platform. The number of children with a mental health condition varied widely from state to state. In Hawaii, for example, 7.6% of children had one of the conditions, compared with 27.2% in Maine. The number of children with a diagnosed mental health condition who weren’t treated by a provider also ranged widely, from 29.5% in the District of Columbia to 72.2% in North Carolina. It is no secret that teen suicide is a rising epidemic in our nation, and unfortunately, something we see in our county. We, as law enforcement officers, first responders and many of us, parents, find this trend unsettling. According to the Center for Disease Control (CDC), suicide is one of the leading causes of death amongst teenagers. The CDC reports that it is the third leading cause of death, behind accidents and homicide, of people ages 15-24. Even more disturbing is the fact that suicide is the fourth leading cause of death for children between the ages of 10-14. It is the nature of those in the law enforcement culture, to look for a cause, one single culprit that we can hold responsible. However, there is no one linear cause to this multifaceted problem. Nonetheless, addressing it from the perspective of law enforcement, is something our office focuses on. First, we should examine a few of the factors that contribute to teen suicide. According to teen suicide statistics, the most frequent cause is cited as depression, followed by feelings of hopelessness, anxiety, along with feelings of being trapped in a life that one can’t handle. DeAnte Bland — June 13, 2018. He was just 16 years old. Kayden Stone — Sept. 3, 2018. He was a day away from starting high school. Shealynn Pobuda — Feb. 3, 2019. She was only 14. Kingsley, a town of less than 1,700 people, has been shaken to its core three times in the last eight months after DeAnte, Kayden and Shealynn each took their own lives — leaving behind mothers and fathers, brothers and sisters, family and friends drowning in grief. Hundreds came together Saturday morning in a time of unbearable sadness to honor Shealynn during a memorial service at the Kingsley Middle School gymnasium. The ripples of that young girl’s suicide created waves of sorrow that have worn down an already devastated community. This was my relative, whose heart has been shattered by the recent death of his son, who was only 23. The tragic news was at first presented as a horrific hit-and-run accident, which had occurred in the early morning hours, while the young man was taking a walk near a busy highway. He was evidently hit by so many vehicles that his remains were unidentifiable, until his father provided a DNA sample to the police. Later, I realized that he’d suffered from a deep depression — and had intentionally stepped into traffic. A Netflix show “13 Reasons Why” is about a teenage girl who commits suicide, leaving recorded tapes that implicate others in her death. It is sickening that such a show exists, since many young people struggle with depression and suicidal thoughts — and certainly don’t need popular media urging them to take action. In the United States, suicide is the second leading cause of death for ages 15-24, but sadly, there isn’t a show exploring the endless list of reasons to avoid this horrific act. • Youth suicides happen more often in US states with high rates of household gun ownership, a recent study published in the American Journal of Preventive Medicine found. • According to the study, in the 10 states with the highest youth suicide rates, 53% of households owned guns. • In the 10 states with the lowest youth suicide rates, only 20% of households owned guns. • Researchers from Boston University School of Public Health found that for each 10 percentage-point increase in a state’s rate of household gun ownership, the youth suicide rate went up by nearly 27%. When will it stop? Joanna Wohlfert, is mourning the loss of her 13-year-old son, Michael Martin after he took his own life because he was bullied. According to Essence, Michael was constantly teased at school and began skipping classes to avoid the people taunting him. His mother is now saying the private bus company as well as the school district failed her son. The suicide of an 11-year-old New Mexico girl stunned many people in her community. Delia Watson said she was bullied at school and online. Medical experts believe the key to stopping bullying and preventing suicide is the children themselves. Dr. Shawn Sidhu says schools that empower children to run peer outreach programs often see the best results. “If adults come in and they tell kids what they think the answers should be, the kids just ignore them but if they involve the kids, it can be very helpful,” Dr. Sidhu said. Parents also play a key role in suicide prevention. “A lot of the time people are concerned that if they talk about suicide, it will increase the chance their child will think about suicide or die by suicide. The research actually shows the exact opposite,” Dr. Sidhu said. Suicides around the world have decreased by about a third in recent decades, a new study found, highlighting an overall downward trend. Researchers found that an estimated 817,000 people killed themselves in 2016, a 6.7% increase from 1990. But adjusted for a booming global population, that marks a 32.7% decrease, according to the study published in the BMJ journal. “Suicide is considered a preventable cause of death and this study shows that we should continue in our efforts towards suicide prevention,” said Heather Orpana, research scientist with the Public Health Agency of Canada and a collaborator on the study, according to Agence France-Presse. “You’re just making it harder on yourself by pushing it off,” one message said. The supreme court of Massachusetts has upheld the involuntary manslaughter conviction of a girl who, at the age of 17, goaded her boyfriend to commit suicide in a series of text messages and phone calls. The state’s highest court rejected her lawyer’s arguments that she couldn’t be held responsible for his death because she wasn’t physically present and that prosecuting her violated her First Amendment rights. Defendant Michelle Carter was sentenced to 15 months in prison in 2017, but the sentence was put on hold pending appeal. It’s a chilling case. Carter didn’t just suggest that Conrad Roy kill himself once or twice. Text messaging records show her repeatedly urging Roy to kill himself over several days prior to his 2014 death. After the UK’s health secretary Matt Hancock told tech companies to clean their platforms from content containing self-harm, threatening regulation, Adam Mosseri, Instagram’s head, announced the app would roll out “sensitivity screens” that would block images and videos of people cutting themselves. Both moves come after the father of a 14-year-old girl in the UK said that he believed that Instagram contributed to his daughter’s 2017 suicide. “I have been deeply moved by the tragic stories that have come to light this past month of Molly Russell and other families affected by suicide and self-harm,” Mosseri wrote in an op-ed for The Telegraph on Monday (Feb. 4). Users should start seeing the screens this week for content that contains cutting. The company first announced plans for “sensitivity screens” in 2017, and started applying them to other “sensitive” content like images of animal abuse posted by humanitarian organizations. They blur out the content behind them and contain a message about its sensitive nature. The images won’t be outright banned, however: “We still allow people to share that they are struggling,” Mosseri wrote. The app’s policy only bans images that “glorify” self-harm. According to one survey, 40% of parents of online 5- to 15-year-olds are very or fairly concerned about cyberbullying. Concern over children’s use of social media and its effect on their mental health has increased markedly in recent years, and now official action on the issue is also stepping up. The response comes as separate surveys have revealed feelings of “overwhelming pressure” and inadequacy among young social media users, as well as the prevalence of online bullying. The government proposals have been launched as part of Children’s Mental Health Week, February 4-10. He first tried to kill himself by swallowing a bottle of sleeping pills the summer after his sophomore year. Years of treatment with Prozac, Zoloft, Wellbutrin, and other antidepressants followed, but the desire for an end was never fully resolved. He started cutting himself on his arms and legs with a pencil-sharpener blade. Sometimes he’d burn himself with cigarettes. He remembers few details about his second and third suicide attempts. They were halfhearted; he drank himself into a stupor and once added Xanax into the mix. Wright decided to try again in 2016, this time using a cocktail of drugs he’d ground into a powder. As he tells the story now, he was preparing to mix the powder into water and drink it when his dog jumped onto his lap. Suddenly he had a moment of clarity that shocked him into action. He started doing research and came upon a Columbia University study of a pharmaceutical treatment for severe depression and suicidality. It involved an infusion of ketamine, a decades-old anesthetic that’s also an infamous party drug. He immediately volunteered. “Sensitivity screens,” which blur images at first glance, will aim to protect vulnerable users from seeing content that could lead to behavior. In the wake of a British teenager’s suicide in 2017, Instagram has announced changes that will extend to the United States and globally, including launching “sensitivity screens” to hide content that shows self-harm. Molly Russell was 14 when she took her life and her parents partly blame Instagram. They say their daughter viewed graphic images of self-harm and suicide on the popular photo-sharing app. In response to Russell’s death, British Health Secretary Matt Hancock wrote in a letter to Facebook, which owns Instagram, and to other technology companies that he would use the power of his office to prosecute companies that fail to remove graphic content and create better policies to shield young people from images of self-harm. Technology changes the medium but not the message. We still send out party invites and birth announcements, but by text and email as opposed to Royal Mail, and we take photos of ourselves on holiday, but put them on Facebook instead of in family albums. And we worry about the images our children are seeing, but where once those images came from fashion magazines, now they’re piped directly into kids’ phones and laptops. Molly Russell was only 14 when she killed herself in 2017, leaving behind a devastated family and a lot of anguished questions. Her father, Ian, has been extraordinarily brave in talking about his daughter. He has described his horror at discovering the images of self-harm she had been looking at on Instagram and Pinterest, encouraged by those sites’ algorithms, which had noted Molly’s interest in certain subjects. According to Ian, even after Molly died, Pinterest was emailing her harmful photographs. “There’s no doubt that Instagram played a part in Molly’s death,” he said last weekend. Suicide is a leading cause of global mortality in those aged 25 years or younger. It accounts for the largest number of fatalities in females and the third largest number of fatalities in males aged 15 to 19 years relative to other causes of death. The incidence of suicidal ideation and self-harm behavior increases rapidly during adolescence and represents a period of heightened suicide risk. Young people who have made a suicide attempt, for example, experience a 10-fold increase in suicide risk compared to the general population and may experience negative psychosocial outcomes that persist into adulthood. The role of the media has been identified as a critical component in suicide prevention.3 Traditional media’s influence on facilitating suicide “contagion” (i.e., imitative behavior) has been well documented. This phenomenon has been linked to the mechanism of suicide contagion, whereby exposure to suicide facilitates suicidal behavior in another. Increases in suicide following exposure to suicide have been documented following celebrity suicides, news reports, and fictional portrayals of suicide, and the young appear particularly susceptible to this effect. Research shows that asking someone if they’re suicidal doesn’t make them more likely to attempt suicide. Still, starting that conversation can feel intimidating for people worried about offending or embarrassing a loved one. That’s why Crisis Text Line, a free, nonprofit emotional support texting service, has released new data suggesting that one way of framing that question is more effective than another. After using artificial intelligence to analyze its dataset of 75 million text messages, collected since the service’s launch in 2013, Crisis Text Line found that assessing suicide risk with an “expression of care” was most likely to reduce a texter’s suicidal feelings. In a recent study, Yale researchers shed new light on the genetic risk factors underlying suicidal behaviors. Yale researchers have identified several genes associated with quantitative scores for suicidality using a suicide attempt severity scale. Such associations were found near genes involved in anaerobic energy production, circadian clock regulation and catabolism of tyrosine, an amino acid. The study, which used a sample of over 20,000 individuals, was published in the Translational Psychiatry Journal Jan. 17. “With suicide being one of the top 10 leading causes of death worldwide, you can help save lives if a better way to treat people is found using psychiatric research,” said lead author of the study Daniel Levey, who works in the human genetic division of the Yale School of Medicine’s psychiatry department. The team was the first to perform a genome-wide association study of the severity of suicide attempts to investigate genetic influences. There was no subtle creep of sadness to watch for, however. What happened was blunt and nightmarish. Months after the book was published, in 2017, Li’s 16-year-old son killed himself. 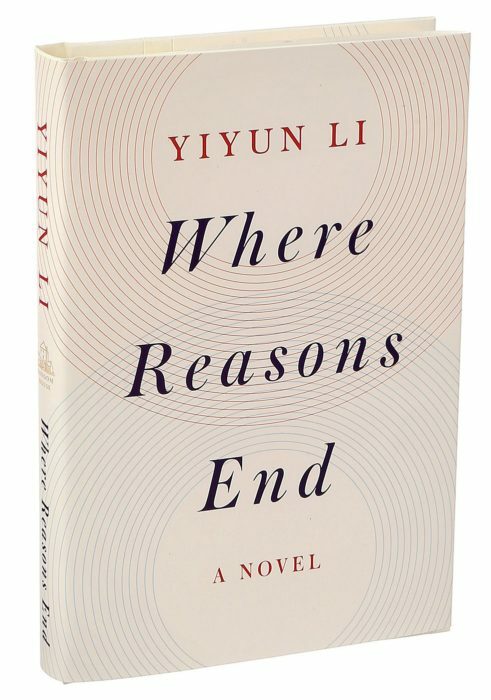 In the months after his death, Li began writing a new novel. “Where Reasons End” imagines a dialogue between a mother and her teenage son after he has been lost to suicide. Young people jailed in adult prisons, often while awaiting trial or sentencing, are at high risk for suicide, and the prison system is doing little to stop it, a new study warns. “If you have somebody who is saying, ‘I’ve screwed up. I don’t have a future, and I’ve let people down. I feel hopeless,’ and they are awaiting sentencing, then it is very easy, without some sort of intervention, they could just go down that rabbit hole,” he said. 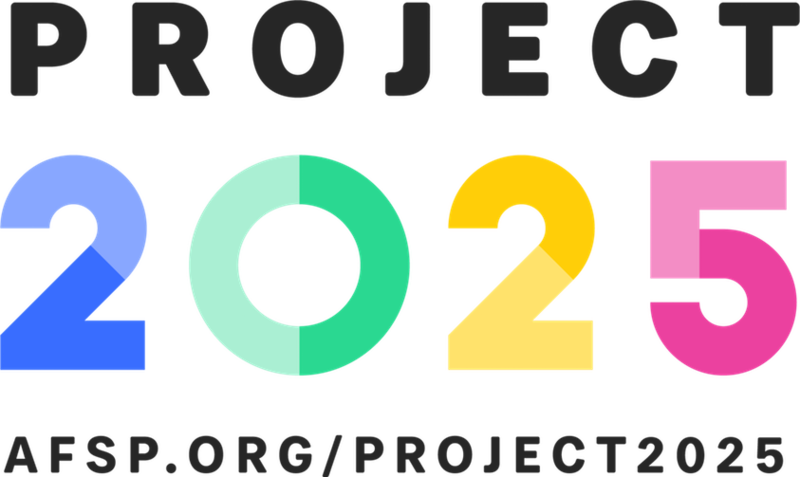 Project 2025 is a nationwide initiative to reduce the annual rate of suicide in the U.S. 20 percent by 2025. With guidance from leaders in the field and dynamic data modeling, we’ve been able to determine the programs, policies and interventions that will save the most lives in the shortest amount of time through Project 2025. We know that we can’t do it alone so AFSP is working closely with partner organizations to implement strategies and scale nationwide to bring the rates down, which have been on the rise for nearly two decades. Today, we are pleased to debut the new Project 2025 website to tell the story of the work and show progress made over time, and invite you to join us in our efforts to save lives. Prince William makes Davos appeal to break mental health stigma. Royal, joined by New Zealand PM Jacinda Ardern, says stiff upper lip approach must end. Prince William has taken his campaign to increase awareness of mental health problems to Davos. Global leaders queued for nearly an hour to hear the Duke of Cambridge, who was speaking at the World Economic Forum alongside the New Zealand prime minister, Jacinda Ardern, to call for an end to the stigma that surrounds mental health issues. The prince suggested the stiff upper lip approach of the wartime generation was responsible for some of the stigma. “Wartime was very, very difficult for everybody,” he said, adding that it was thought “no matter how much you would talk, you were never going to fix the issue”. William said a new generation in the UK was finally realising “this is not normal, we should talk about it”. Melanie Harned, a psychologist who specializes in suicide prevention, discussed what to do when you think someone is suicidal and explained Dialectical Behavior Therapy, an approach that research shows can be effective at reducing suicidal thoughts and attempts. Dr. Harned is the coordinator of the DBT program at the VA Puget Sound Health Care System and a senior research scientist in the department of psychology at the University of Washington. She has been researching DBT and how to prevent suicide in high-risk populations—including adolescents and people with PTSD, borderline personality and opioid dependence—for 14 years. “The availability of firearms is contributing to an increase in the actual number of suicides,” one researcher said. Suicide rates among U.S. children and teens have hit startling rates and a study now finds one clear predictor of youth suicide: gun ownership. Youth suicides rates are higher in states with high gun ownership rates, a team at Boston University School of Public Health found. “Household gun ownership was the single biggest predictor of youth suicide rate in a state,” Dr. Michael Siegel, a public health specialist at BU, told NBC News. Siegel has been studying the relationships between gun ownership and homicide, suicide and other factors. It’s well known that people with access to a gun are far more likely to complete suicide. And some data had suggested that gun ownership in general was associated with higher suicide rates. When Maria Luisa Tucker’s father died after swallowing a sizeable amount of a prescribed opioid, hydrocodone, she saw it as a personal tragedy. But recently, after investigating the opioid crisis and the connection to mental health issues, the journalist said she took a broader view of her dad’s 2006 suicide. A new book stresses the biological causes of self-destruction. But what about the social ones? As her depression deepens, her prose grows more self-aware and more gravely disconsolate. “Today was bad,” she writes. “Sat in the shower. Did the whole crying bit. Sat in bed. Did the whole sad songs and crying bit.. It started in sixth grade. Sara Martinez said she had no reason to be sad, and yet she was. In seventh grade, she cut herself for the first time, finding her own blood frightening. She eventually tried to kill herself seven times before her 18th birthday. Martinez is part of a startling statistic: 1 out of every 10 Latinas has attempted suicide in the past year, 2 out of 10 have made a suicide plan and half of all Latina teens said they’ve felt hopeless, according to the 2017 Youth Risk Behavior Surveillance Survey administered by the Centers for Disease Control and Prevention to people ages 10 to 24. One-third of Hispanics in the U.S. are younger than 18, and another 14.6 million are between 18 and 33, according to Pew Research Center analysis of U.S. Census Bureau data. As the Hispanic population in this country has continued to grow, the rates of depression, suicidal thoughts and suicide attempts among Latina teens have remained above those of Latino male youths, and white males and females. Within the first year of launching an artificial intelligence (AI) program to flag potential signs of suicidality in individual accounts, Facebook has released data showing there have been 3500 wellness checks worldwide to rule out potential suicidal intent in its users. Although at first blush this sounds like a good thing, some experts are questioning specifics of the algorithm and calling on the company for greater transparency. Initiated in 2017, the program uses machine learning to identify posts, comments, and videos that may indicate suicidal intent. It also uses “contextual understanding” to disregard phrases such as, “I have so much homework I want to die,” which is not a genuine sign of distress, the company said in a press release. Highly concerning content is then reviewed by specialist teams who determine whether specific individuals warrant help from first responders. Asked to comment, Drew Ramsey, MD, assistant clinical professor of psychiatry at Columbia University, New York City, and member and past chair of the American Psychiatric Association’s (APA’s) Council on Communications, said the company should be commended for working toward curbing growing suicide rates. “I think Facebook is stepping up out of a responsibility that their platform is being used by people to express a lot of different feelings. And when that happens, they wanted to do their best to respond,” Ramsey told Medscape Medical News. It all points to a “pretty substantial disagreement” between parents’ and kids’ reports, said study leader Jason Jones, a research scientist at Children’s Hospital of Philadelphia. In cases where parents are unaware of their child’s struggles, one reason may simply be that the signs were not obvious, according to Jones. On January 9, 2017, a Northwestern University sophomore named Jordan Hankins died by suicide in her dorm room in Evanston, Illinois. This week, two years after her death, her mother—Felicia Hankins—filed a complaint in federal court against Alpha Kappa Alpha, the sorority her daughter was pledging at the time of her death. The complaint alleges that Jordan Hankins, also a member of the university’s women’s basketball team, was subjected to “physical abuse including paddling, verbal abuse, mental abuse, financial exploitation, sleep deprivation, items being thrown and dumped on her, and other forms of hazing intended to humiliate and demean her” during the hazing process, which triggered her post-traumatic stress disorder and caused the prolonged anxiety and depression that eventually led to her death. The lawsuit does not specify whether Hankins’s PTSD was a direct result of the hazing or existed before it. Prior to Felicia Hankins’s complaint, most media coverage of Jordan Hankins’s suicide did not characterize it as having any relation to sorority hazing. In the 2017 Healthy Kids Colorado survey, 17 percent of all participating middle and high school students reported considering suicide and 7 percent reported attempting suicide at least once in the past year. Among LGBTQ youth, the rates jump to 44.8 percent of respondents who report having considered suicide and 19.9 percent attempting it. This is one of several disturbing statistics that underlie a report on youth suicide in Colorado issued by the Colorado Attorney General’s office. The report, “Community Conversations to Inform Youth Suicide Prevention,” was commissioned during former state Attorney General Cynthia Coffman’s tenure to learn more about adolescent suicide in the state and find ways to address the crisis, as suicide has become the second leading cause of death among young people in Colorado — only behind all other forms of unintentional injury combined. More research says Facebook can cause depression, this time among millennials. The findings are published in the latest edition of the Journal of Applied Biobehavioural Research. Many of those who began with moderate clinical depression finished just a few weeks later with very mild symptoms after drastically cutting down on their social-media use, research says. Spending too much time on “social media” sites like Facebook is making people more than just miserable. It may also be making them depressed. A new study looked at 504 millennials who actively use Facebook, Twitter, Instagram, and/or Snapchat, individuals who met the criteria for a major depressive disorder scored higher on the “Social Media Addiction” scale. These individuals were more likely to compare themselves to others better off than they were, and indicated that they would be more bothered by being tagged in unflattering pictures, it found. Those with major depressive disorder were less likely to post pictures of themselves along with other people and reported fewer followers. The findings are published in the latest edition of the peer-reviewed Journal of Applied Biobehavioural Research. Childhood abuse increases risk of adult suicide, finds research. Largest study of its kind shows ‘devastating’ impact of sexual, physical and emotional abuse. People who experienced sexual, physical or emotional abuse as children are two to three times more likely to kill themselves as adults, new research has found. Experts said the findings confirmed the “devastating effects” of child abuse on mental wellbeing, while one suicide charity said 70% of people who had either tried to take their own life or who had thought about it had been abused. Millennials have been found to have the highest stress levels of any generation, but barriers like a lack of health insurance are preventing them from getting treatment. Therapy is out of reach for many millennials. Aishia Correll, 27, grew up in a world where therapy was not an option. So, when the Philadelphia woman began struggling with her mental health, she turned to painting instead. But now, Correll tells the Bristol Herald Courier, she is a health care strategist and is working to increase access and affordability for mental health care, especially for millennials, women of color and the LGBTQ community. Correll’s areas of focus are in need. According to a 2018 survey by the American Psychological Association, millennials and Generation Z are at a higher likelihood of rating their mental health as fair or poor in comparison to other generations. In the same survey, millennials were found to have the highest stress levels of all generations. Why Are More Youths Thinking About and Attempting Suicide? More than double the amount of children are hospitalized for suicidal thoughts and attempts to kill themselves than just ten years earlier, but explanations for the increase are lacking. To meet this challenge, an interdisciplinary group of researchers from the United States is launching a consortium aimed at increasing diversity in suicide research among children, adolescents, and young adults. The Youth Suicide Research Consortium (YSRC) includes researchers from 22 institutions (colleges, universities, and medical centers), including John Jay College Professor of Psychology Dr. Elizabeth Jeglic. According to the American Foundation for Suicide Prevention, suicide is attempted 1.1 million times annually. Unfortunately, every 12.3 minutes a person completes suicide, totaling 117 lives per day, or nearly 43,000 lives per year, making suicide the 10th leading cause of death in the United States. For ages 15-24, suicide is the third leading cause of death. These statistics are often perceived as merely numerical representations, but they have a deeper significance. These numbers represent a collection of loved ones gone too soon. The American Foundation for Suicide Prevention reported 90 percent of those who completed suicide had a diagnosable psychiatric disorder. In essence, many battled with emotional and psychological problems. We’ve heard it before: As much as it may be handy for keeping in touch with old classmates or family members, social media seems to do more harm than good, psychologically, especially for young people. And the refrain is increasingly common, not just from the friend everyone has who’s quit Facebook and never been happier, but from multiple research studies over several years (and, if you count it, from some of the developers of social media themselves who have sounded loud warnings about its risks). Now, a new study from the University of Essex and University College London finds that teenagers who spend more hours a day on social media have a greater risk for depression, and the connection appears to be particularly pronounced for girls.